The team reviving a former power plant in Bayview-Hunters Point partnered with StoryCorps, and the community response was pretty incredible. While tourists flock to San Francisco's historic Fisherman's Wharf in search of spectacular bay views and clam chowder, the city's southeastern shoreline, conversely, is a Mad Max-like landscape frequented mainly by rumbling trucks. In the Bayview-Hunters Point neigborhood, a long section of the coast is blocked by a fence topped with barbed wire, which has been there about as long as anyone can remember. For 40 years, the site was occupied by a huge PG&E power plant with towering smokestacks. Bayview-Hunters Point is a traditionally blue-collar, African-American neighborhood, but it is changing, due in part to the city's real-estate pressures. The closest area to the power-plant site is Hunters View, which made HUD's list of the worst housing developments in the country. It is now being completely redeveloped in a separate city-sponsored project that will replace the public housing and adds some market-rate units. After prolonged lobbying efforts by environmental justice activists in the community, the aging Hunters View plant was finally dismantled in 2008. What will take its place is being determined in stages, a more organic approach that takes into account the psychological as well as the physical rehabilitation of the site. "We're hoping to transition this place from a forbidden no-go zone to a place of joy—how do you change this relationship from one of fear?" says architect Douglas Burnham of Berkeley-based firm Envelope A+D, which is leading the design efforts. The value of this 32-acre waterfront property would be considerable, but the utility company, one of California's largest landholders, is in no rush to turn the land over to developers. At Hunters Point, PG&E hopes to establish a new model for how it deals with decommissioned property, going beyond soil and groundwater remediation to integrate it with the community. 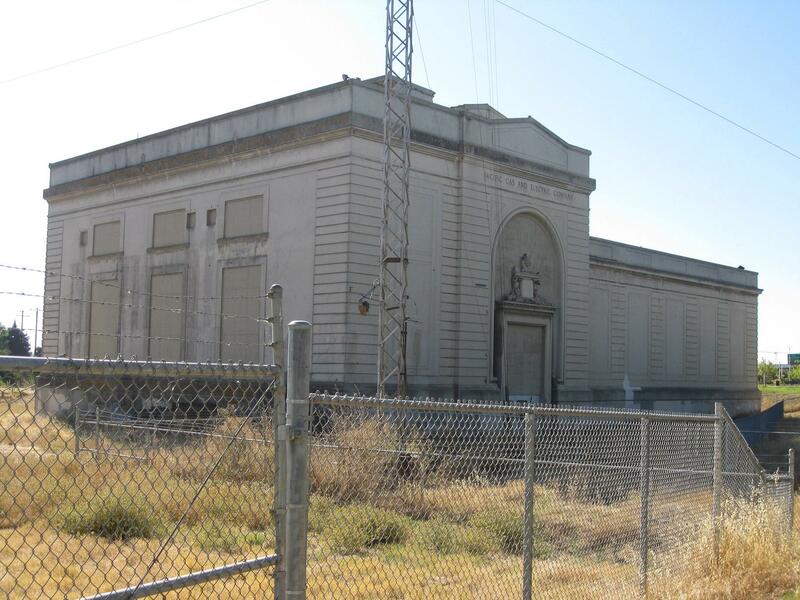 At Hunters Point, PG&E hopes to establish a new model for how it deals with decommissioned property. "We're testing out a number of interim uses in order to come up with a plan that will be compatible with the neighborhood around it," says San Francisco-based consultant Jonathan Manzo, who is managing the project for PG&E and is working to bring back the company's tradition of grand public infrastructure. Several years ago, Burnham's firm created a successful temporary project called Proxy in the fashionable neighborhood of Hayes Valley; housed in shipping containers, the industrial-chic complex of eateries and retailers looks to be a permanent fixture now. In its pitch to PG&E for this very different site, the design team talked about putting on a series of community events that would function as live prototyping for the long-term uses. "We did not want to draw up a huge master plan, deliver it fully baked in a presentation, and simply take a couple of questions," says Burnham. "We did not want to draw up a huge master plan, deliver it fully baked in a presentation, and simply take a couple of questions," says Burnham. The team began by conducting one-on-one interviews with about a dozen community leaders, who had worked with PG&E's environmental remediation team. "We didn't get very far when we asked, 'What should we put on the site?' The direct question wasn't the right question," says designer Liz Ogbu, who is leading the team's community engagement and social innovation strategy. "The residents had never been on the site before," Ogbu says. "By asking about their lives, we got real data. We heard about the fear of gentrification, worries about their kids at risk of falling into a gang and getting a gun." Inspired by the vivid stories that were emerging, the design team reached out to StoryCorps, the nationwide oral history project that captures stories of under-represented communities, and asked them to start recording at Hunters View. Instead of a bare-bones recording space, the team wanted to have a place where residents would feel welcome and comfortable as they recounted their memories of living in the shadow of the power plant. They created a listening booth, using a shipping container as a quick and economical structure. Since shipping containers were commonplace rather than exotic in this industrial context, they covered it with a cool geometric canopy. They also glammed up the inside with toile wallpaper and upholstered wingback chairs. A giant picture window opens to a view of the bay and the former power-plant site. "It's supposed to be a little like your grandma's living room," says Ogbu. "People eye the building a little suspiciously, and then when they come through the door, they say, 'Oh my God!'" listening_NOW_hunters point from envelope A+D on Vimeo. Over the course of a year, StoryCorps has recorded more than 20 interviews here, each about an hour in length. To share these stories with the community, the design team came up with the concept of a listening party. Similar to a neighborhood block party, these events have started with a barbeque and a lot of socializing before everyone sits down to listen to edited excerpts from the interviews. The storytelling has been integral to establishing a sense of rapport. "The process has been really important for transparency," Ogbu says. "So much here [had] happened behind closed doors." Besides this informal information-gathering, the design team has also been collecting suggestion cards from the other events they've hosted on the site, which include a local circus, a traveling petting zoo, and a kite day. Based on the responses, they've begun planning the next temporary structure—this one on a much larger scale. According to Burnham, it will take the form of a big tent that can accommodate 200 people inside and 3,000 people outside. The concept is a flexible space that can serve as a classroom for job training or youth activities, with shared amenities like a community kitchen. "Cities are typically developed as a crazy patchwork of developer schemes," Burnham says. "Here, we're able to look at more than just the transactional value of the land. This is about supporting a community."